Steven Jay Sanford | Sharing my creative passions and a love for the natural world. My purpose in presenting the images and information on this site is to share my passions for the natural world - and my use and enjoyment thereof. 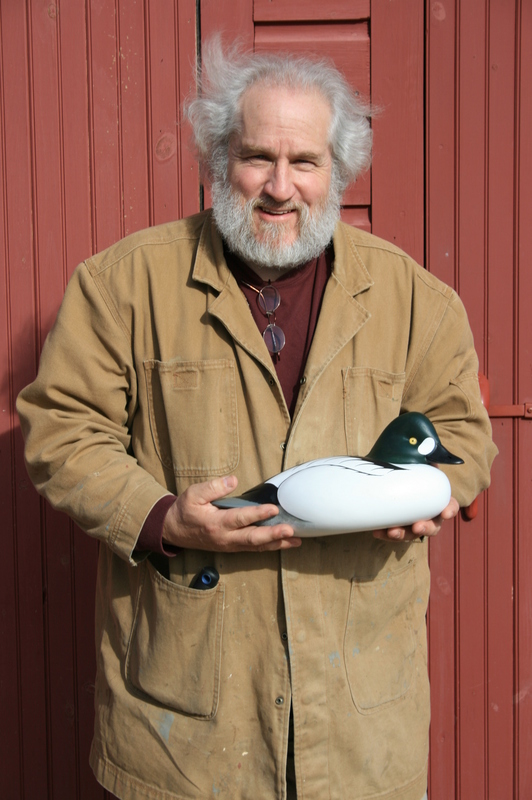 I want to present my art - drawings, paintings, carvings - and also describe how I go about doing certain things - carving decoys, building boats, designing and making "tools" to help me enjoy the natural world - and to help others do so. In addition to teaching, I also want to share stories. My hope is that others will find inspiration and useful information here. I am a retired wildlife ecologist with a lifelong passion for the natural world – and a need to create. 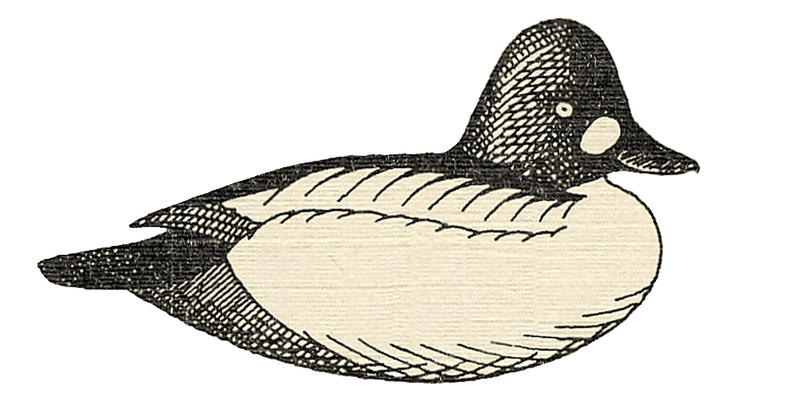 I was born and grew up on Long Island’s south shore and so have always enjoyed birds and boats, everything about duck shooting, and all things – animals and plants – that live on the natural landscape. I adopted many of my passions and interests (and skills, too) from my Dad, Theodore (Ted) M. Sanford, Jr, of East Islip (1925 – 2011). 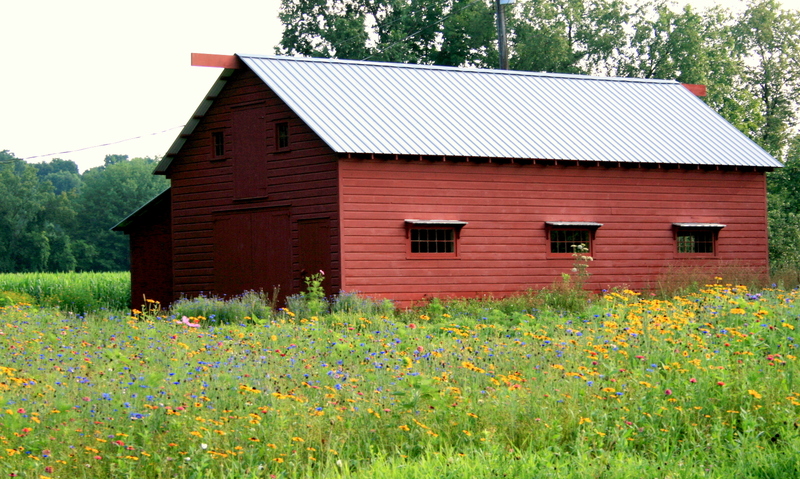 My wife and I live on an old farm in the rolling hills of Washington County, New York. It is dairy country and we lease our fields to local farmers for corn and hay. I retired in 2010 after a very fulfilling 35-year career in natural resource conservation, mostly with NYS Department of Environmental Conservation. I built the shop/studio of my dreams shortly before I retired and am very fortunate to spend many of my days there in creative pursuits – painting, carving, woodworking, building, repairing, restoring, et cetera, et cetera. 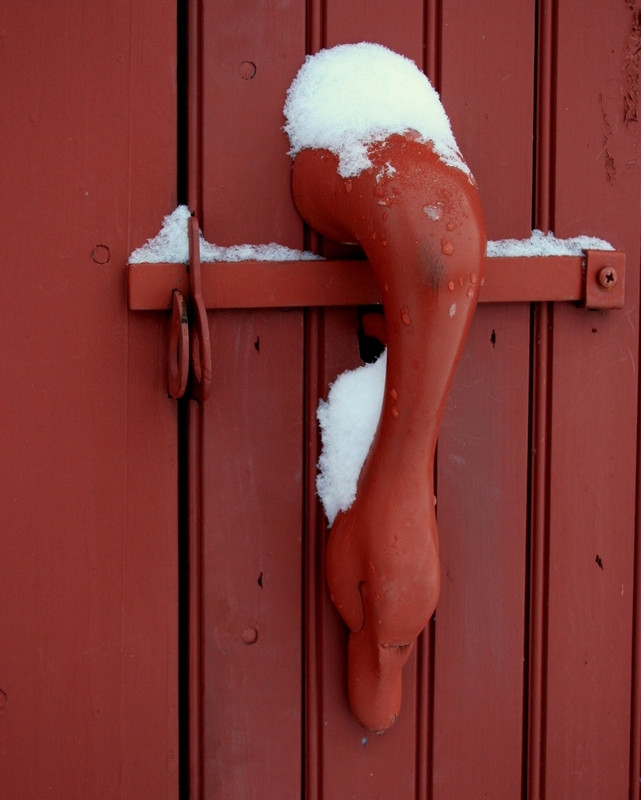 (The image below is the shop’s door handle – a half-size Tundra Swan head that I mated up with a “repurposed” barn door latch.) I also play on the landscape with my tractor or chainsaw as the spirit – and the seasons – move me. I live on an old farm because I want to be able to be in nature without having to get in a car and drive there. I can walk out the door – or even just look or listen from inside – and be in touch with an abundance of living things. I am thankful every day that we have been able to achieve our dream – and we try to savor all it has to offer. Incredible craftsmanship from the Captain himself. Can’t wait to stop by Pencilbrook and see what new projects are in the making. Being retired like yourself and built my own work shop, its great to live life to the full, but one never stops learning and I think this challendge is what makes us more creative and better waterfowlers. Thanks for a very enjoyable look into your life. You do beautiful work in a wide variety of endeavors including this web site. I enjoyed hunting with you yesterday. Nice web site. What a pleasure it was to meet you and Susan at the American Museum of Fly Fishing in Manchester, Vermont. I will look forward to visiting your studio in the not too distant future. Great talking with you today. Do you have any patterns that you would like to sell. I would like to purchase On the falling tide, where do I mail the check and who should it be payable to? It was a pleasure to visit your farm last year Steve. Kyle and I look forward to a longer stay next time. You are truly living the dream. better get those brant together fella–Saw a jag of them in Jamaica bay on the belt this weekend. Damn things were flying across the road from a wide gut, out into the bay on the trip home. Have you ever entered any of your carvings at The Ward World competition in Ocean City, Maryland? There are a couple/few categories where you would be a strong competitor.